So the story goes that Chewie owes Han Solo his life. When Han was in the Imperial Army, he refused orders to kill Chewie. Han was discharged, and took up smuggling to make ends meet. 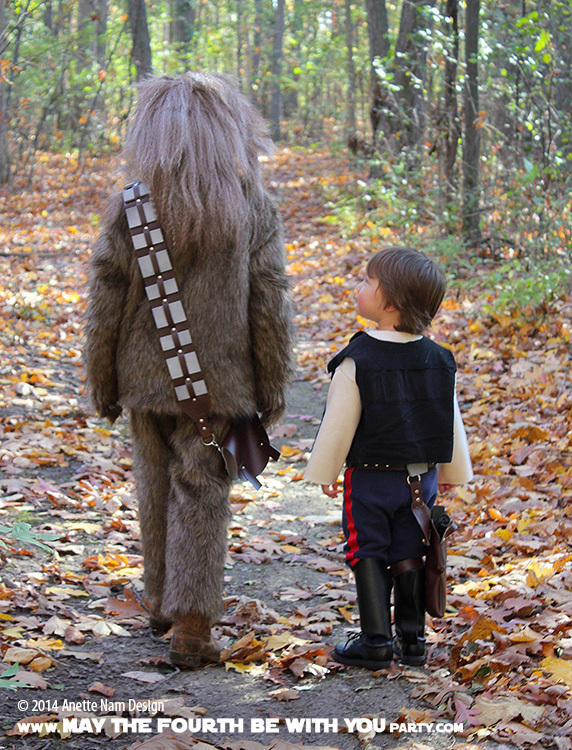 Chewie came along to protect Han, to pay his debt as it were. I’m not sure a life-debt necessarily means life-long friendship, but it surely is the case with those guys. (Assuming they are translating Chewbacca’s words correctly…You know, he could be cursing up a storm, and we wouldn’t know it! GAAAAAAAH!) Their loyalty is fierce, like family. When we had our first child, it was, well, amazing. It is an overused word, but it really was amazing. After a few years it seemed like a good idea to have another. And it was, equally amazing. This time around though, we got to see our baby son from our daughter’s adoring eyes. We see how he is growing up to completely trust her. Seeing how their bond and loyalty is total and so natural, is mind-blowing for us parents. 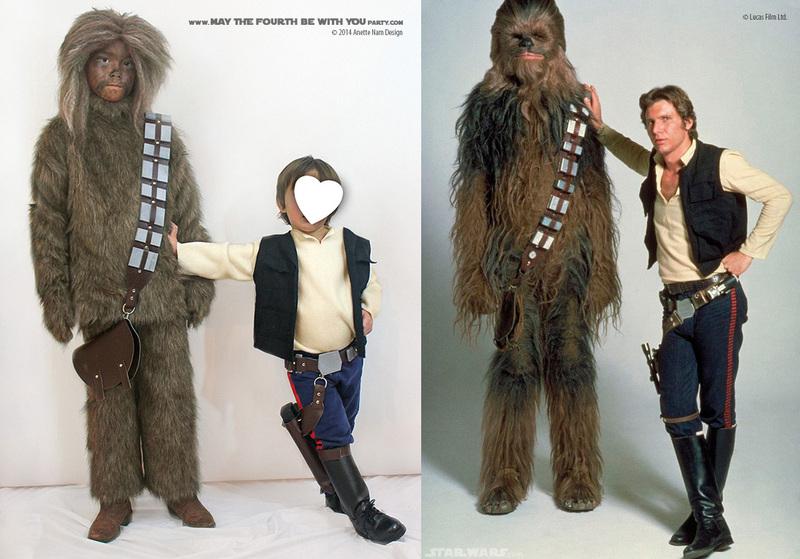 I think I might be trivializing their relationship, if I liken it to Chewie and Han’s bond (they are fictional characters after all). But, I am thrilled that the pictures we took for Halloween show the fun, loyalty and love that we know they have for each other…. and that they happen to look like a nerf-herder and a walking carpet, well that it is a happy bonus! Note: Being new to blogging, I have had to consider the pros and cons of showing pictures of our kids in a public forum. My decision was to show pictures that are either so old or unrecognizable enough where no-one can tell who it is. So on the head-on shots, I have added a heart on their face to protect their privacy. Not sure if that is really necessary, but until they are old enough to have a say in the matter, I think we are going to try this.